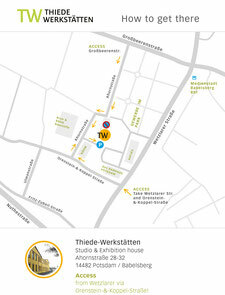 Studio and Exhibition Space in Potsdam-Babelsberg - thiedewerkstaettens Webseite! We are 6 artists (painting, illustration and sculpture). Two artists offer painting courses.